This amazing natural broom works as a rake and an outside broom. Handmade from the centre of the coconut palm frond, bound with coconut fibre string. The shipping on this is a little more ($35) because it has to be sent via courier due to its length. This amazing natural broom works as a rake and an outside broom. 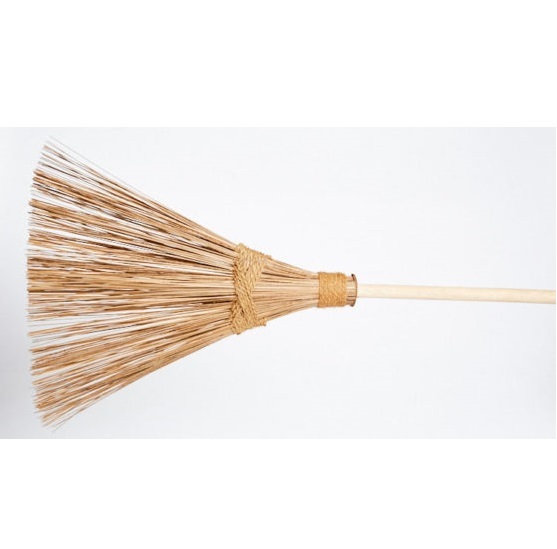 Handmade from the centre of the coconut palm frond, bound with coconut fibre string the broom will rake leaves from grass without pulling up the grass roots, works better than a broom on pebbles, concrete, rockeries and rough surfaces. It will sweep up wet litter as easily as dry. Is long lasting and beautiful as well as being sustainable, ethical and biodegradable.